Curiously, perhaps the most difficult item of all to find, when trying to build up a collection of models representing Yuri’s world – is Yuri himself! 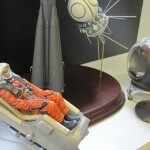 If you want to collect Yuri Gagarin memorabilia – stamps, medals, posters, commemorative watches, mugs, hats, t-shirts etc., etc., there is almost too much choice, ranging from original Soviet productions, through modern replicas to entirely new creations. 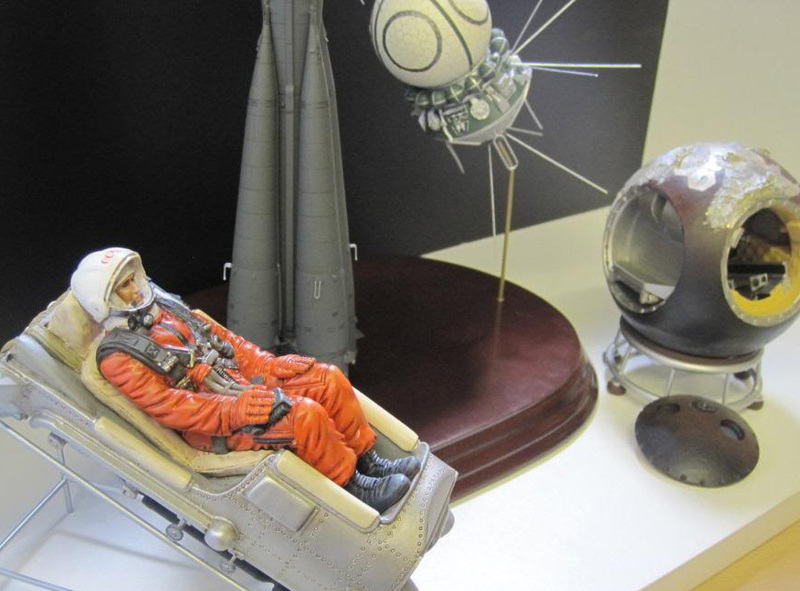 In amongst these you will regularly find some of the small bronze busts and statuettes produced in the USSR, but if you want a proper, detailed, scale model figure of Yuri, either in his ‘Falcon’ spacesuit, or in his airforce uniform, well . . . good hunting! Reviews the kit praise its technical detail, but not the likeness to Yuri’s face . . .
Other than that, it is worth noting that the American Revell plastic kit of the Vostok spacecraft does include a pilot figure. Evidently there is a gap in the market out there for some enterprising model manufacturer to fill! This entry was posted in Making a Graphic Novel, Soviet vehicles, The Book, Yuri Gagarin, Yuri's Flying Machines. Bookmark the permalink.